It's the 1st Friday of March and you know what that means! It's time for a brand new blog challenge. The winners of the February Challenge 48 are posted here. Hi! Connie here with the March Challenge #49 for Quick Quotes! My challenge to you is "Off the Page". No scrapbook pages, you can add pictures to your "Off the Page" or not. So off to create something wonderful, to get your hands inky, be crafty ~ it's all good! I used Catalina Island by Quick Quotes, cut in a 6" X 6" square. 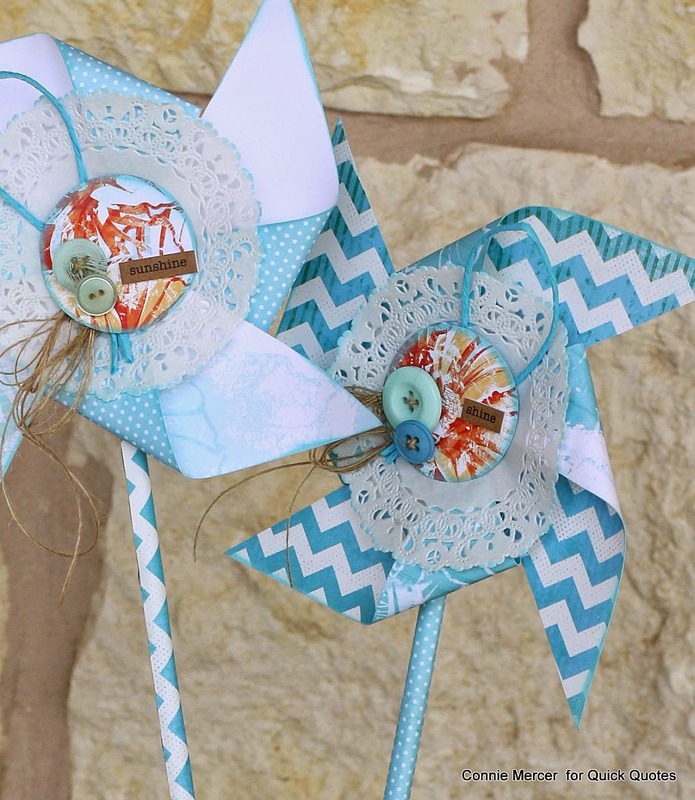 Each Pinwheel is shaded with Caribbean Blue PowderPuff Chalk Ink! The blue's match perfect! 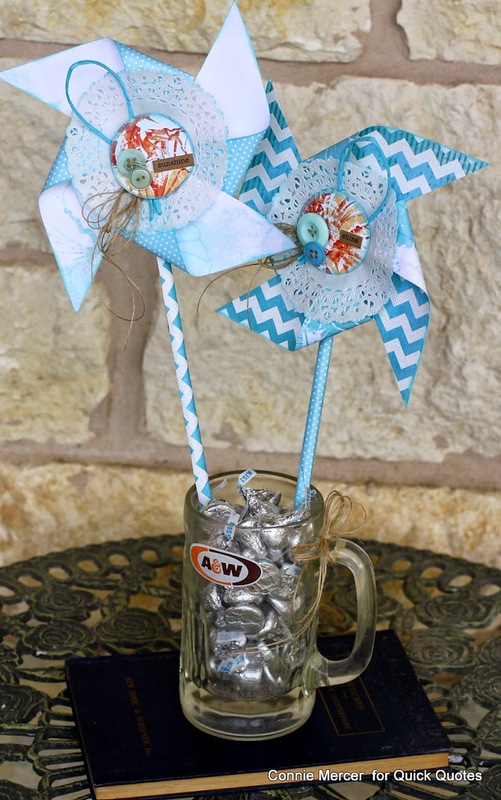 Twine, buttons, stickers, paper doilies, paper twine, craft stick 12" long. I do not know how to get rid of all of these post! My project is kind of wide and I was unable to show the entire project when I linked it up. Thank you for this great challenge, I had a lot of fun.